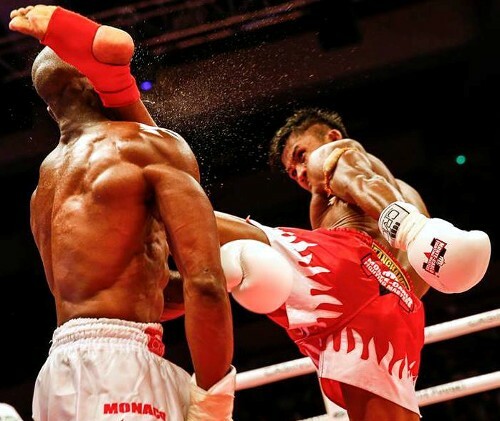 It has been a few years since I last wrote about Muay Thai legend Buakaw Banchamek. 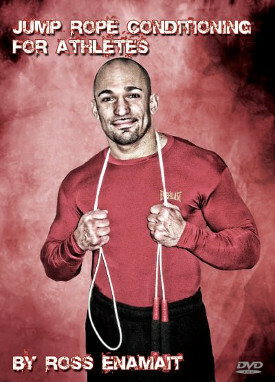 As stated previously, he is one of many fighters who’ve thrived with a simple, yet intense approach to training. The bulk of Buakaw’s work includes running, pad work, bag work, sparring, and calisthenics. He has also been active throughout his career with well over 200 fights. His combination of hard work with the basics and frequent competition has taken Buakaw from a boy who grew up in poverty to an international star. You’ll be hard pressed to find anyone who is a serious fan of combat sports who is not familiar with Buakaw Banchamek. As I wrote a few years ago, much of Buakaw Banchamek’s training could be performed almost anywhere. For instance, he obviously invests a lot of time into practicing his kicks. Such work is intense yet does not require any fancy equipment. As evident in the video below, his trainer can hold the pads almost anywhere. Notice at one point how they begin in the ring and end up traveling throughout the gym. Buakaw and his trainer were obviously having fun while the footage was taken, but it’s also clear that each man was working hard. I enjoyed that particular sequence of video for a few reasons. For starters, it’s obvious that Buakaw’s fame has risen over the years. He is no longer a youngster who is struggling to fight his way out of poverty. Buakaw has made it to the top and now trains at a well equipped facility. Yet despite the change in scenery, it’s somewhat ironic that the exercise machines are really just in the way as Buakaw and his trainer travel throughout the gym. I also enjoyed how Buakaw and his trainer clearly enjoy themselves in the gym. What might appear to be barbaric to the casual observer is nothing more than two brothers in training who are working hard towards the same goal. Unfortunately, this lighter side is rarely seen by the outside world. So often training is described as a miserable experience that you must suffer through until you reach the top. The reality however is that most high level fighters have a lighter side that is often visible in the gym. Speaking as a trainer, it can be useful (physically and mentally) to occasionally lighten things up with humor. There is no doubt that I talk more trash to my own guys than anyone else. Fortunately, they give it right back. That’s how we roll and I wouldn’t have it any other way. I push everyone hard, but also try to keep things from getting boring and monotonous. And yes, there have been days when mitt work suddenly turned into an all out wrestling match on the floor. We’ve had some epic battles break out unexpectedly in the middle of a round. It’s nice to see Buakaw and his trainer share similar experiences. Lastly, it is also great to see that Buakaw’s training style has remained largely the same. In addition to all the pad work, bag work, and sparring, he continues to work hard with the basics. In the video above, you can see him climbing rope, performing pull-ups, running against resistance bands, etc. Once again, there’s nothing overly fancy, but you can be sure that he is working hard no matter what he does. It is no surprise to me that Buakaw continues to thrive with the basics. As the old saying suggests, don’t try to fix something that isn’t broken. Buakaw Banchamek has excelled by working extremely hard without getting lost in complexity. You don’t need to be a fighter to benefit from that model. Such an approach will prove useful to just about any athlete or exercise enthusiast. Work hard, enjoy yourself, and don’t stray too far from the basics. The results will follow and you’ll eventually come to enjoy the experience, rather than dreading the time. When he mugged him into the exercise equipment, that was hilarious. Did you see the homemade tire heavy bag in that fancy gym? Do you believe in the power of the subconscious mind to bring forth results (like Napoleon Hills book “Think And Grow Rich”)? My 2 cents/core intuition on you is you could be the next Cus D’Amato- you know boxing well. The right kid you can make a Roy Jones Jr. Or Mike Tyson out of. I believe it with all my heart. I think everyone who trains in a sport from boxing to cycling has someone who they look up to for inspiration and idolise. For me Buakaw is this. Not only is he one of the best Muay Thai Fighters he is so down to earth.